My first cyclocross build, serving duties as a winter trainer and off-road explorer. 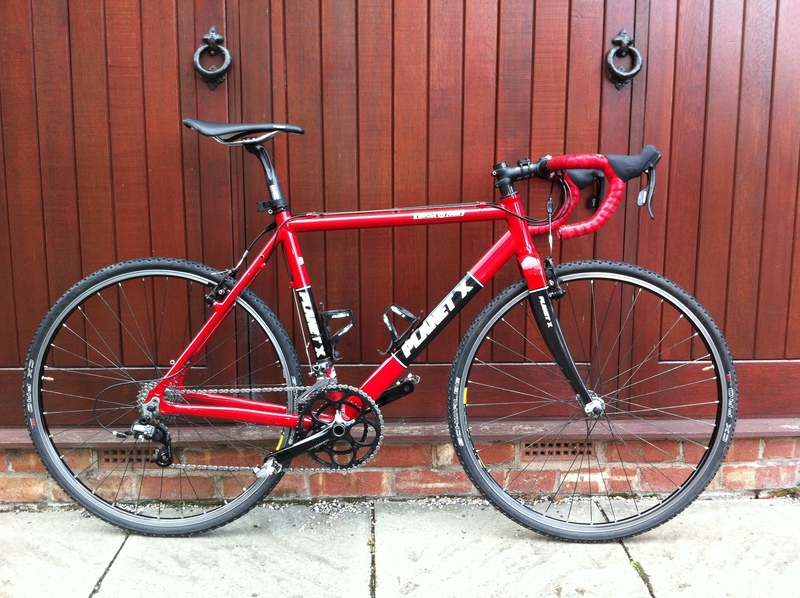 I’ve built two set of wheels for it – one for the road and one for with nobbly cross tyres onIt’s got a mix of SRAM Apex/Rival kit but I’d love to justify some higher spec kit. I bought the frame, fork and a few bits at Planet X and intended to just kit it out with cheap parts. This inevitably went wrong and I’ve upgraded loads of parts and got the weight down to about 20 lbs (now back up to 21lbs with the mudguards). The Schwalbe CX Pro tyres are fantastic, though I’ve no prior reference point for cross tyres. They’re only 30mm so still feel fast on the road at 80psi but have plenty of grip when I leave the tarmac – that way I don’t mind putting the road miles in to link to a particular trail. They’d probably be even grippier off road at lower pressures but I alway worry about pinch flats. In it’s first 5 months it’s been used more than any other bike. How did I ever get by without a cross bike? 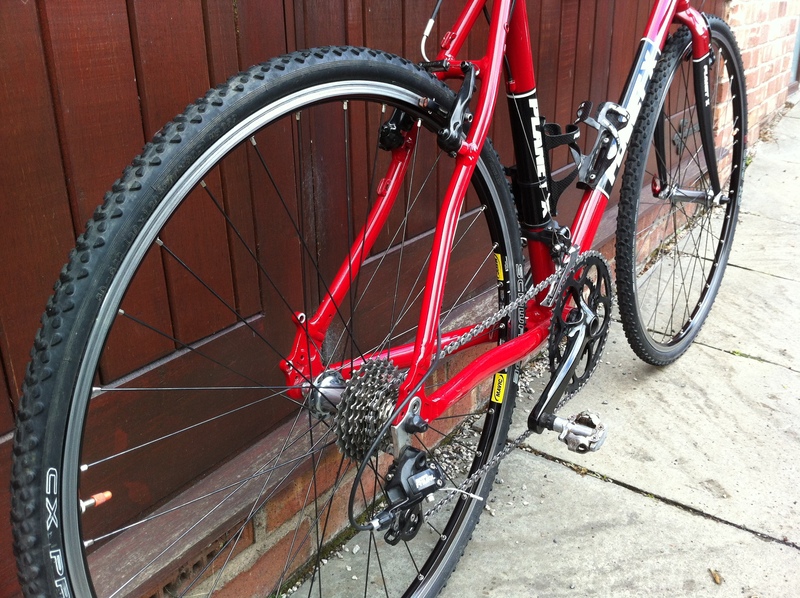 10 months and 2000 miles in and the UJ’s been used and abused on trails, roads and C2C tours with clients. 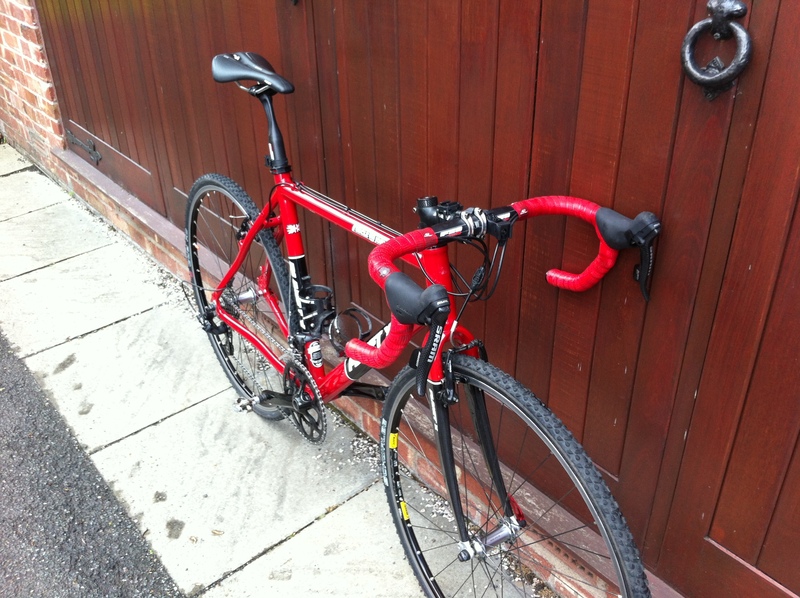 Having successfully got the mudguards fitted, it’s now racking up some serious milage as the winter bike. The country lanes of the Peak District are so muddy at the moment that I’d be reluctant to mess the Boardman up, but the Uncle John’s oblivious to it all. I’ve got a set of wheels with some 23mm Schwalbe Durano’s on that are coping well and I’m getting in more riding hours than I ever have done at this time of year. How did I ever get by without a winter bike?